Using Gain, Overdrive, and Distortion can either add or detract from your overall guitar tone, so it's a good idea to know the differences between them. Technically speaking, there are several definitions to these terms, but we are only going to deal with the audio Aspects, or how it sounds to your ears. 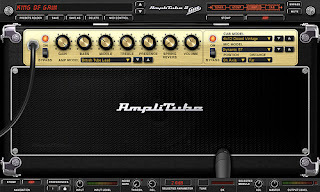 Gain is usually defined as an overall boost in your signal without any added tonal coloration. It is usually expressed in decibels such as "Gimme a 3dB boost on that kick drum." Adding more gain is basically just amplifying the signal so it cut through the mix or can be heard over a loud drummer. Overdrive, as it has come to be known as, is a smooth, warm, slightly distorted sound, generally associated with the sound made by cranking up a tube amp. It is fat and dynamic, allowing you to vary your tone just by the way you play. Overdrive pedals can come close to giving you that tube overdrive sound, probably the most popular being the Tube Screamer. Great post, you cover a lot of things people daren't ask. I'll share it with my guys. Good post! Clears up some differences some may not know. Tanks for sharing, glad you guys liked it.